We got a request for an up to date windows binary of the latest official sgminer 4.2.1 (source), so here it is. Do note that this is the standard version of sgminer that in intended for Scrypt mining and does not support a lot of alternative crypto algorithms, for that you will need to get sph-sgminer, a fork based on an older version of the official sgminer, namely sgminer 4.1.0. 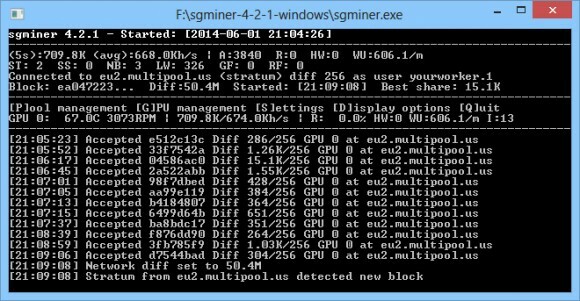 From the link below you can download the latest sgminer 4.2.1 Scrypt GPU miner for windows.